The Physiopedia Advisory Board has been set up to provide professional, globally relevant and project related advice and information to the Physiopedia Trustees. The members of the Advisory Board are respected individuals that bring a unique set of skills and experience together to support the Physiopedia charity and help it achieve it's aims. Michael (South Africa) is a physiotherapy lecturer at the University of Western Cape. As an Associate Professor in the Department of Physiotherapy at the University of the Western Cape, Michael conducts research into the use of emerging technologies to change teaching and learning practices in undergraduate physiotherapy education. Michael's PhD evaluated the use of technology-mediated practices in clinical education, and resulted in the development of a set of design principles for creating blended learning environments. Barbara (Switzerland) is a physiotherapy coordinator at the International Committee of the Red Cross. 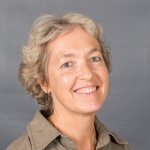 Barbara has worked as physiotherapy project coordinator with various humanitarian organisations in Romania, Malaysia, Afghanistan, Iraq and Myanmar. Currently, her main tasks are coordinating physiotherapy hospital projects for the ICRC in the Middle East (e.g. Gaza, Iraq, Lebanon, Syria, Yemen). 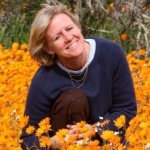 Sue (UK) is a physiotherapist and rehabilitation consultant. Utilising her experience as a rehabilitation advisor to disability-related funds in the USA Sue provides consultancy services related to program monitoring & evaluation to strengthen disability-related programs on an international level. Tim (UK) is a lawyer and partner at Pillsbury law firm. Tim leads Pillsbury's outsourcing and technology practice group in London and has been managing Physiopedia's legal affairs as part of the firms pro bono work. Nancy is founder and Executive Director of Health Volunteers Overseas. Nancy has worked for the National Council for International Health and served as a Maternal Child Health Worker with the Peace Corps in the Republic of Korea. She also serves as the Chair of the Board of Directors of the US section of Handicap International and Vice Chair of Global Impact’s Board of Directors.